Our new noodles are made with the focus on health and flavor. It includes the Japanese patent “lactic acid fermented koji (wheat malt)” that adds “umami”. Currently in America, it is only made and served here, at our restaurant. We serve to you, our customers, freshly made original ramen noodles. They are chewy and as they don’t get soft very quickly, they are also good for To go & Pick up orders. 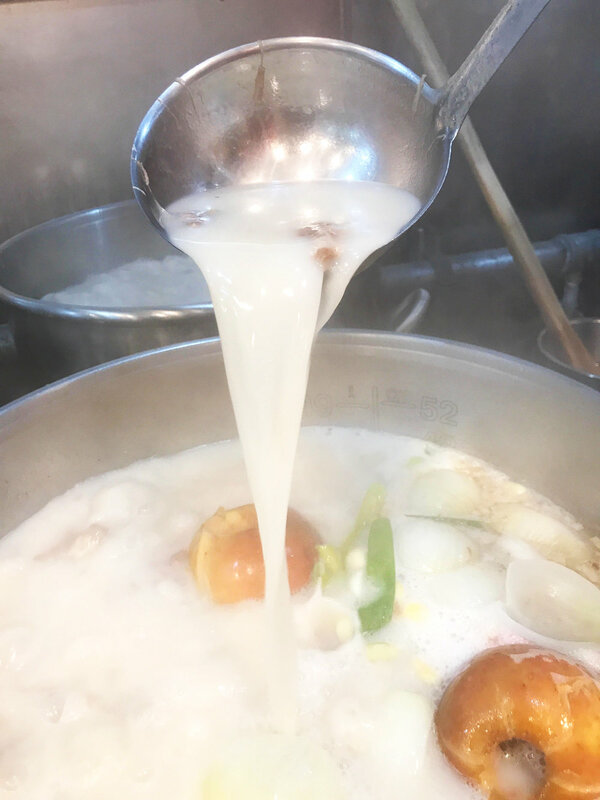 Yuzu Ramen specializes in serving authentic Japanese ramen based on 100% house-made broths made of fully grass-fed / pasture-raised meat & bones and organic vegetables. We never add artificial coloring, flavoring, or preservatives. Each bowl of our ramen is prepared to order, individually by hand, in order to serve you the highest quality and best-tasting ramen, every time you visit. We appreciate your patience during peak hours, such as lunch rush. 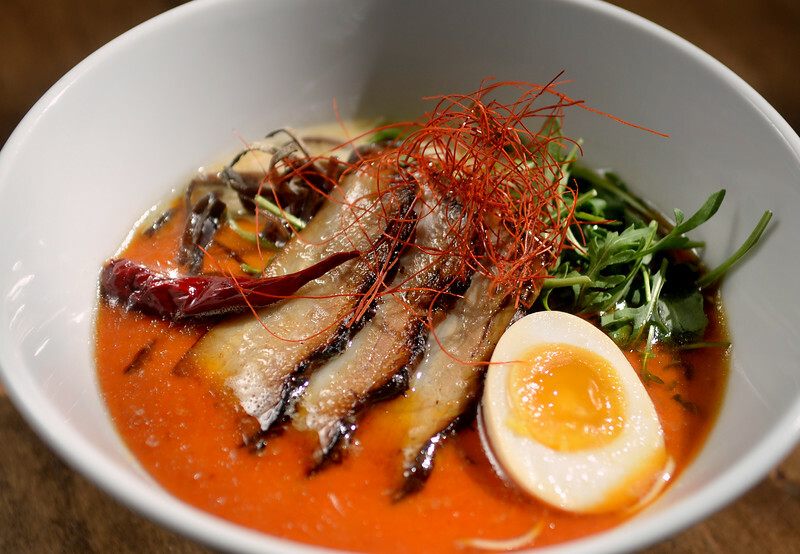 Arriving early can reduce wait times, and ramen is also available to go. Additionally, we request that all phone orders for takeaway be paid via credit card when placing the order. By cooking every stock pot of broth fresh in-house over 30 hours using grass-fed & pasture-raised beef and pork marrow bones as well as organically grown vegetables; and by creating the “umami” flavor from gently simmering only the natural ingredients without using MSG or any other artificial ingredient. So please enjoy sipping up our broth and finishing up our bowl of ramen for various benefits you will feel good about. We at Foodszilla Corporation strive to bring about the healthiest and tastiest food to the world by combining the Japanese traditional culinary know how with the best ingredients available locally. We look forward to having you dine with us periodically so you can enjoy the benefits in the long run. Lunch: Fast Casual Service / Dinner: Full Table Service / Lunch Reservations: Full Table Service - please reserve for larger parties! Due to high volumes, we will hold your reservations for 15 minutes past your reservation time. After 15 minutes, we will unfortunately release the reservation. call us at (510)853-1525 for emeryville/ (415)747-8730 for san rafael, or email us at contact@yuzurb.com! No MSG. Non-GMO. No Preservatives. No Artificial coloring. No Antibiotics. Topped with: grass-fed ground beef, red onions, fried green beans, fried renkon (lotus root), soy marinated soft boiled egg. Topped with: steamed cabbage, arugula, cherry tomatoes, fried eggplant. $2 deposit will be charged for frozen Broffee jar. The 3hr Roll $11 //*POPULAR! Shrimp tempura, cucumber, spicy mayo, shrimp, avocado, red leaf lettuce. Pork gyoza with a side of Yuzu original homemade gyoza sauce. Salmon, arugula, red onion, cherry tomato, rainbow mix microgreens, lemon, tobiko, ponzu dressing. Crispy, fried chicken wings served with spicy mayo and a lemon wedge. Fried rice with beaten organic eggs, diced chashu, garlic, and green onions garnished with pickled daikon. Fried green beans seasoned with curry powder, salt, garlic powder, black pepper, and red pepper flakes. Hamachi, arugula, red onion, rainbow mix microgreens, jalapeno, yuzu kosho dressing. Hamachi, tuna, and salmon dipped in original sesame ginger shoyu sauce on top of rice garnished with soy marinated soft boiled egg, green onions, seaweed, sesame, and wasabi. Bowl of rice with pickled daikon. Matcha panna cotta with sweet azuki red beans topped with coconut cream. If you are excellent in thoughtful customer service looking for an exciting opportunity to join and grow with an ambitious team, this is it! Yuzu Ramen, now in Emeryville and San Rafael, is actively looking for cheerful team players and fast learners. We serve 8 different kinds of RAMEN with 100% grass-fed / pasture-raised beef / pork bone broths and organic veggie broths as well as original SUSHI rolls and Japanese appetizers along with Japanese and local craft beers and sake. We cater to those sophisticated diners who look for the best in taste, nutrition and service. Please include the JOB POSITION, YOUR PHONE NUMBER and LOCATION - Emeryville OR San Rafael that you are applying for as well as your availability to work. Thank you! WE ARE HIRING FOR BOTH EMERYVILLE AND SAN RAFAEL LOCATIONS! Thank you for applying! We will get back to you very shortly!